Christèle Bioche and Pierre Druihlet arXived a few days ago a paper with this title. They aim at bringing a new light on the convergence of vague priors to their limit. Their notion of convergence is a pointwise convergence in the quotient space of Radon measures, quotient being defined by the removal of the “normalising” constant. The first results contained in the paper do not show particularly enticing properties of the improper limit of proper measures as the limit cannot be given any (useful) probabilistic interpretation. (A feature already noticeable when reading Jeffreys.) The first result that truly caught my interest in connection with my current research is the fact that the Haar measures appear as a (weak) limit of conjugate priors (Section 2.5). And that the Jeffreys prior is the limit of the parametrisation-free conjugate priors of Druilhet and Pommeret (2012, Bayesian Analysis, a paper I will discuss soon!). The result about the convergence of posterior means is rather anticlimactic as the basis assumption is the uniform integrability of the sequence of the prior densities. An interesting counterexample (somehow familiar to invariance fans): the sequence of Poisson distributions with mean n has no weak limit. And the Haldane prior does appear as a limit of Beta distributions (less surprising). On (0,1) if not on [0,1]. and not that is uniform, which is the presentation given in the arXived note…. 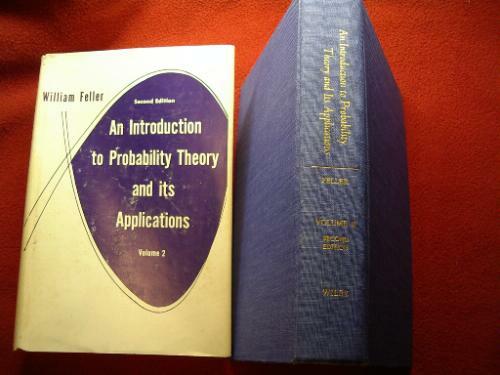 The former is also the interpretation of William Feller (page 63, Introduction to Probability Theory), contrary to what the arXived note seems to imply on page 2, but Feller indeed mentioned as an informal/heuristic argument in favour of Benford’s Law that when the spread of the rv X is large, is approximately uniformly distributed. (I would no call this a “fundamental flaw“.) The arXived note is then right in pointing out the lack of foundation for Feller’s heuristic, if muddling the issue by defining several non-equivalent versions of Benford’s Law. It is also funny that this arXived note picks at the scale-invariant characterisation of Benford’s Law when Terry Tao’s entry represents it as a special case of Haar measure! Even better, if you change rnorm to another generator like rcauchy or rexp at any of the three stages, the same pattern occurs.